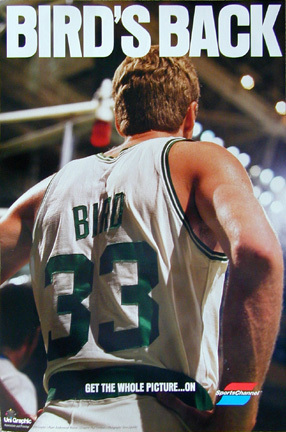 This poster was a one time gift to fans at Boston Garden and was never sold to the public. 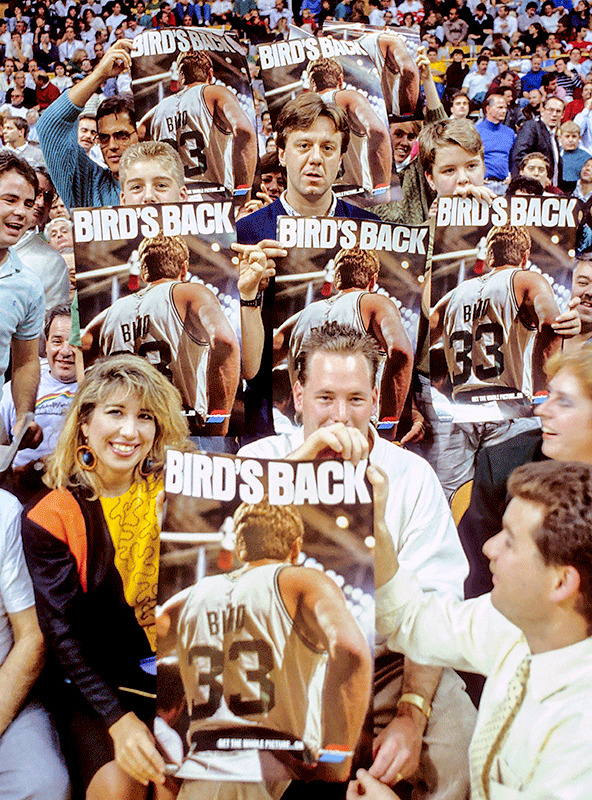 It was created to welcome Larry Bird back to the Garden after his recuperation from foot surgery. We have a limited quantity available and these few are the only "Bird's Back" posters available anywhere, by the photographer, Steve Lipofsky. Email Steve to request signature and/or inscription at no additional charge.